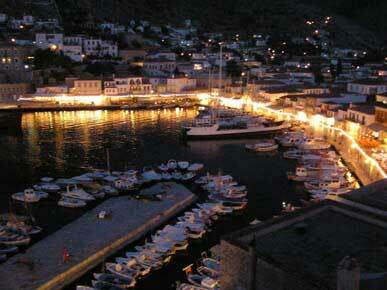 Greece is one of the countries with the most varied and vivid nightlife throughout the year. It is a heaven as you get a fantastic mixture of people from the UK, Greece, Sweden, Norway, France, Italy and many other countries, all in their best mood and all trying to make the most of their visit to Greece. There are two types of nightlife in the islands. The one is usually found only at the resorts where people stay out drinking, dancing and partying wildly until the sun rises the next morning. The second type which is quieter and more relaxed, is found in the majority of places, where nightlife consists of a few bars, cafés and tavernas. On our cruises we visit islands which are out of the beaten track, so you will experience the second type of nightlife where nice atmosphere, friendly locals, traditional live Greek music and dancing are found, rather than busy and loud clubs. However, for those who would like to try clubbing in Greece, there is a variety in the town of Lefkas where you will spend your last night of the cruise. In most of the places we visit, there is a good variety of choices so you will find something for everybody's taste. A lively café, a taverna, a bar in the village or down by the sea, a bouzouki night with Greek dancing, or even a beach party with a barbeque! And then you can choose a place depending on things such as the sort of music you like to listen to, the view you want to have or how romantic and quiet you want it to be. In a few words, there is something for everyone!